Completion of BOTH high school biology and chemistry courses are required; niether course may be concurrent. Selected participants will complete the on-boarding process through the Fox Chase office of Volunteer Services. An automated reply will be sent to your email address noting that your application has been received. The form may not be saved to future work and we ask that you only click “Submit” once. Please scroll through the application or print-screen to work on the sections prior to completing and submitting the application. If for any reason you are unable to access and/or submit the digital application, by the above date, you, your counselor, or teacher, MUST contact the Immersion Science Office (ImmersionScience.FoxChase@fccc.edu ) NO LATER than Friday, November 6, 2015 for further instructions. 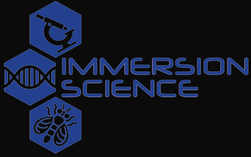 The Immersion Science Program (ISP) is open to all students in the Philadelphia- Tri- State area! Applications are blind-reviewed, so really work to make yourself come to life from the responses to the open-ended questions. The ISP is not a GPA or standardized test-driven program. We are looking for well-rounded participants that want to contribute academically, socially, and intellectually to the ISP Community. Students who think outside-the-box, have collaborative natures, and will go on to be ambassadors of the ISP are encouraged to apply. The ISP welcomes YOUR talents & problem solving skills as we work together towards a better understand of the pathways frequently studied in cancer and the dietary components that affect them. The current Student application period is open. The current Teacher application period is closed.